We are in the midst of one of the most exciting times in history to be involved in cancer research. More than 60 anti-cancer drugs have gained FDA approval in the last 10 years, and that number is only growing, with more treatment indication approvals in 2015 and the early months of 2016 than in 2013 and 2014 combined. New treatments are on the rise. Initiatives like the $1 billion “Cancer MoonShot” program and immunotherapy projects are emerging. While these far-reaching efforts are designed to accelerate cures and make massive impact on the research landscape, all of these take time and until that time comes, patients need a way to manage their disease. According to the American Cancer Society, cancer death rates are down 23 percent over the last 21 years. While this number is encouraging, not all cancers fare equally. For many metastatic and rare cancers, survival is measured in months, not years. It is especially vital for these patients that we do better. 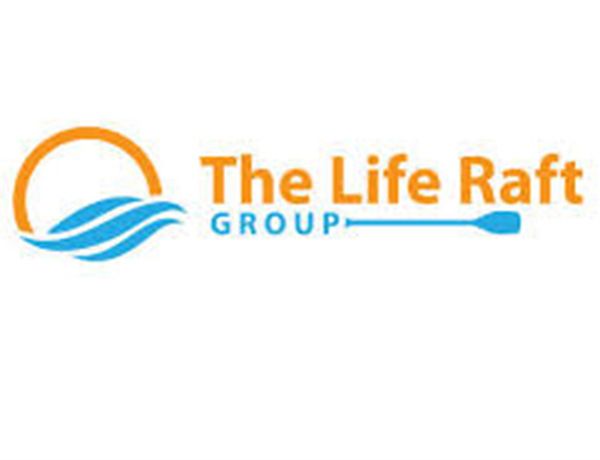 The Life Raft Group (LRG) began in 2000, when a handful of patients with gastrointestinal stromal tumors, or GIST, on the early Gleevec trials began sharing their experiences online. It was clear from the beginning that these patients could use their individual experiences and combined knowledge to support and learn from each other. In the last 14 years, the Life Raft Group has grown immensely, meeting the challenges of GIST survivors and caregivers every step of the way. GIST patients have often stood apart from their fellow cancer survivors for a number of reasons. Although still very much considered a rare cancer with its diagnosis rate of 5,000 new cases per year, GIST predominates a third of all sarcoma diagnoses in a field that includes over 70 known cancers. To put it in perspective, as “common” as GIST may be in sarcoma, sarcoma itself only comprises one percent of all cancers. Also, unlike most rare cancers, GIST benefits from three FDA-approved lines of drug therapy options, while most rare cancers don’t even have one. However, there are still many rare GIST mutations that do not respond well to any of the standard treatments. As a result, the GIST community is split into two camps, those living with what amounts to a chronic illness and those bouncing from treatment to treatment. As a part of a community that has largely had to care for itself, the LRG has been collecting data in our Patient Registry for the last 15 years. One of the most dominant trends that has surfaced is that more than 49 percent of our members report experiencing side effects as a result of their drug therapies. Out of a sample group of 1,462, patients reported 827 cases when side effects became so burdensome that they interrupted their drug therapy usage. In light of the fact that they have the ability to influence a patient to either temporarily or permanently discontinue their potentially lifesaving drug, the importance of effectively managing side effects cannot be overstated. Until cures are found, drug therapies are a lifeline to someone with cancer. Yet, drug therapies are often the cause of industry-termed “adverse events”. Our registry participants have reported many of the same issues as other survivors with common side effects including fatigue, diarrhea, edema, nausea and Hand and Foot Syndrome, where hands and feet experience redness, swelling and pain. Clinicians are frequently unable to help patients properly address these problems, which affect their quality of life and ability to maintain their drug regimen. Appointments are often months apart, and patients can be hesitant to speak plainly about side effects, due to a number of factors, including the fear of the consequences it may have on treatment recommendations, inadequate consultation time or a self-perceived triviality of the symptom. Overall, better communication can drastically improve a patient’s ability to manage side effects. Honesty with physicians is key and can provide these clinicians with an opportunity to become more involved with a patient’s care and quality of life issues. From the patient perspective, adding unique specialists to his or her medical team like nutritionists, gastroenterologists and dermatologists, speaking with the nursing staff, as well as seeking out resources that may provide benefit online or through a hospital can make a huge difference when deciding whether to discontinue treatment. Patient advocacy groups can also strive toward better communication. The Life Raft Group’s Patient Registry includes fields for collecting side effects by treatment, which can be tracked over time, crossing institutional boundaries. Additionally, regular correspondence with our registry participants, tied to scan frequency, enables us to stay up-to-date with their pressing concerns. We are also able through these phone and email communications to arm patients with tools and questions to bring to their medical appointments. Furthermore, our interactions with patients and registry case studies show that most side effects tend to get better over time. An effective side effect management tool could help patients reach this point. Better side effect management will lead to improved drug adherence which has a direct impact on patient survival.